Canadian baby boomers are significantly unprepared financially for retirement with the average amount saved being more than $400,000 short of individual retirement savings goals. According to a study by the BMO Wealth Institute, $658,000 is the average amount boomers feel they each need to have for retirement, but the average amount they have saved is $228,000. 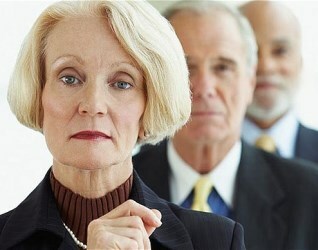 Although boomers want to retire at age 59, most believe that they will need to work until 63. Many of the oldest of the boomers, defined as those born between 1945-1964, turned 65 in 2010 and others are just a few years away from retirement age. According to Statistics Canada, the average senior couple spent $54,100 in 2009. Based on historical returns and a 4% withdrawal rate, retirement nest eggs should be approximately 25 times the size of annual withdrawals. This would mean that, to be able to generate $54,100 in retirement income a year, a retired couple would need to have saved roughly $1,352,000, BMO estimates. Almost half, 46% said they were not confident that they will be financially secure in retirement, more than double the 20% level reported in 2006. In addition to delaying retirement, the study found that boomers plan to generate income in a variety of other ways: 71% expect to take on a part-time job, 44% will sell off collectibles, antiques or possessions they no longer use, 32% expect to sell their home and 19% will rent out part of their home. The survey was conducted by Pollara survey with an online sample of 1,003 yet-to-retire Canadians 18 years and older, between August 2 and August 7, 2013. A probability sample of this size would yield results accurate to ± 3.1%, 19 times out of 20.